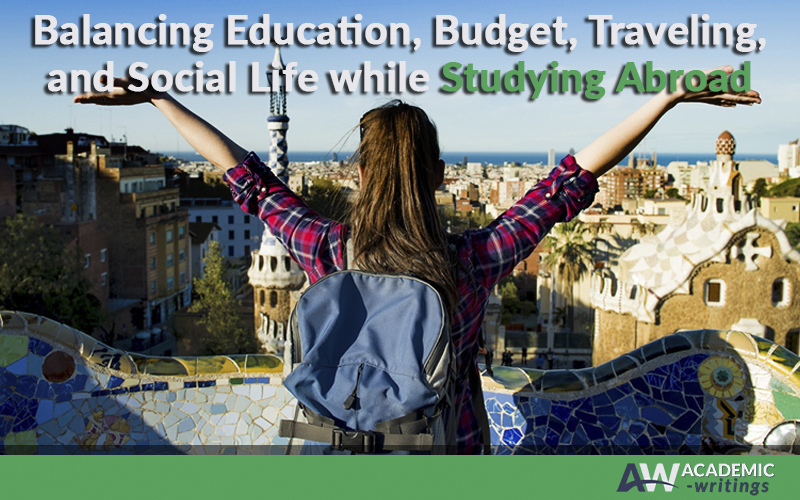 It is a difficult task to learn how to balance your education, traveling, budget, and social life. Talking about me personally, I always felt guilty of choosing traveling over studying, and there were many times when it was too difficult to come back to my studies. However, if you know some tips, you can find and maintain that balance between these four components. In this article, I am going to share with you some pieces of advice that might help you. You should create your schedule before the semester begins. I found it very beneficial to select all classes that were on Mondays and Thursdays, so I had a three-day weekend every week. Luckily, all those classes fit my major. I still think that was a great choice. So, if you have such opportunity, try to do so. This will provide you with enough time to travel, to explore the city you live in, and to complete all your assignments. Take good notes, make screenshots of important articles, and take pictures of your textbooks. Bring them with you on a plane or a bus so that while traveling you would be able to spend a couple of hours revising. You can use this time for studying. A huge part of your final grade will come from attendance. It is not worth skipping classes just for having one more hour of sleep or for doing something that can be done after classes. Besides, attending all of your classes allows getting a better grasp on subjects. Try waking up at least one hour earlier. You will be amazed with how many useful things you can do due to having that extra time. The day I left to Rome, I woke up an hour earlier, wrote my essay and handed it in on my way to the airport. As a result, I had nothing to worry about the rest of the week. Most colleges and universities provide students with enough time to travel, including spring and fall break. But when you are studying abroad, why should you wait for one week out of the whole semester to see something new? Travel on the weekends, but do not try to do it every weekend. You are living in the new city where there is so much to explore. It can be quite hard to balance your money when you are abroad alone. You will find out that there are numerous things you would like to see, taste, and do, and that the savings, which you have worked for the whole summer, have gone in one day. From the very first day, you have to start planning your budget. Look for free things to do and places to see when you are abroad. Go Couchsurfing and stay in cheap hostels while traveling. Take advantage of free breakfasts in hostels and look for cheap street food.